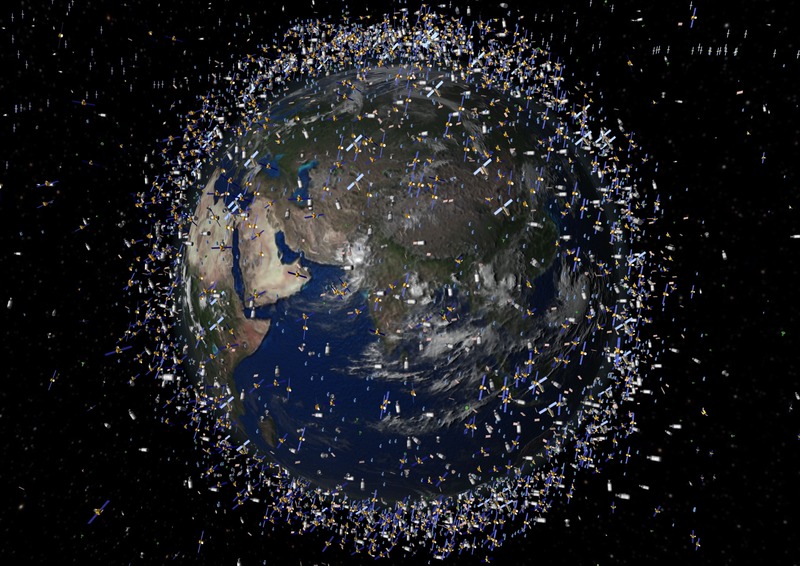 If you count all the little nuts, bolts, loose wrenches and pieces of demolished satellites as satellites, then there’s a whole lot of junk floating around Earth. Thousands of pieces that pose a hazard. Around the moon we have about three functioning spacecraft but have launched far more than that that have, over time, gone dead – perhaps crashed to the surface of the moon. Then we have the odd Juno spacecraft around Jupiter, the voyagers I and II and so on. We’ve put more space junk up there then anything else. This is a fairly accurate artist’s rendition of space junk around Earth. The Russians have put several probes on Venus, the Americans and Europeans put a probe on Titan, we have probes on Mars, we flew a probe by Pluto and orbited Saturn for a long while before crashing deliberately. We presently have, as mentioned, the Juno spacecraft around Jupiter. We have hundreds of functioning satellites in orbit around Earth.